A University of South Wales law grad who aspires to become what she believes is the first Romani woman to qualify as a barrister in England and Wales is hoping the generosity of others will help her achieve her career plan. Unable to afford the Bar Professional Training Course (BPTC) registration fee, Brigitta Balogh has launched a crowdfunding appeal in the hope of raising the £1,800 required to secure her place at City, University of London. According to Balogh’s GoFundMe page, she has already been “granted government funding” but is still “short with the registration fee”. Balogh’s online appeal appears to be her final throw of the dice. She has already reached out to family and friends, who have helped as much as they could, and contacted a number of organisations including her Inns of Court, who were unable to assist. The response to her appeal so far has been positive. Having launched just three days ago, Balogh is £380 short of her £1,800 target. Crowdfunding appeals are becoming an increasingly popular way for aspiring lawyers to help cover the hefty costs associated with studying law. Earlier this summer, Legal Cheek brought you the news that aspiring lawyer Ebun Azeez has raised £30,000 to secure her place on Oxford’s elite Bachelor of Civil Law (BCL) course at Pembroke College. This came just weeks after second-year law student Raphael Chinwuko raised the £27,000 he needed to complete his studies at Durham University. Last year, Oxford law grad Katy Sheridan successfully raised £4,500 to fund her BCL studies after opening up about her struggles with endometriosis. 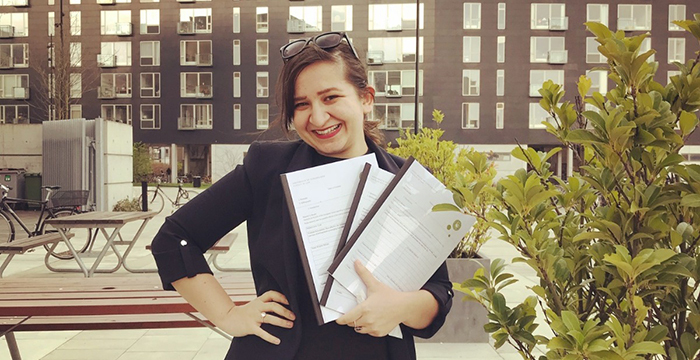 The post Law grad who hopes to become ‘first Romani female barrister in England’ launches crowdfunding appeal to help cover BPTC fees appeared first on Legal Cheek.